The inaugural summit took place in Trinity College Dublin with a stellar cast of athlete speakers, most notably Greg Louganis, Ben Johnson, Paul Kimmage and Niall Quinn. We also benefitted from the wisdom of leading global experts in the field of athlete mental health, injury, addiction and retirement. 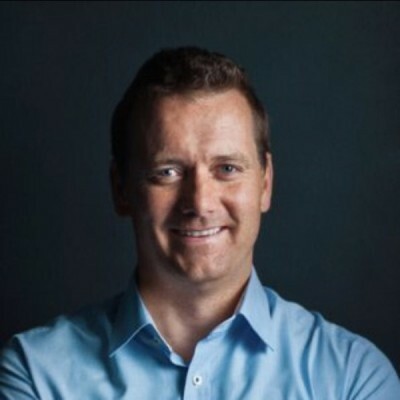 Gearoid is a four-time Olympic rower and former World Champion. He created an online resource and community for athletes in retirement after he went online for support during the early stages of his retirement and found a few academic articles and not much else. He worked in athlete personal development for Western Sydney Wanderers Football Club and the New South Wales Institute of Sport but felt what retired athletes really need is an independent and confidential resource where ex-athletes become the support through their own experiences. 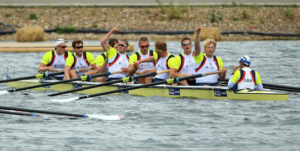 Since he retired from rowing at the Beijing Olympic Games he has taken on numerous different challenges and jobs – establishing an events business and attempting to row across the Atlantic ocean! 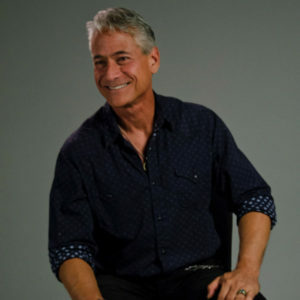 Four-time Olympic champion Greg Louganis is widely considered the greatest diver in history. The only male to sweep both the 3m and 10m diving events in consecutive Olympic Games (’84 and ’88), Greg earned a total of 5 Olympic medals, 5 World Championship titles and 47 national titles (more than anyone in U.S. history). Often remembered for the shocking moment in 1988 when he struck his head on the springboard, Greg revealed his remarkable courage and tenacity when he returned to the board shortly after and performed the best dive of the competition. The next day, he won the gold and secured his legacy. He was inducted into the U.S. Olympic Hall of Fame in 1995. Two years later he won the Jesse Owens Award. In 1993, he was inducted into the International Swimming Hall of Fame. In 1994, he was presented with the U.S. Olympic Committee’s Robert J. Kane Award. His 1995 autobiography, Breaking the Surface spent five weeks as the New York Times #1 best seller. Now a staunch anti-doping advocate, Jamaican-born Canadian former sprinter Benjamin Sinclair “Ben” Johnson won two Olympic bronze medals and an Olympic gold medal, which was later rescinded. He set consecutive 100 metres world records at the 1987 World Championships in Athletics and the 1988 Summer Olympics, but was stripped of his Olympic 100m gold medal after testing positive for anabolic steroids. Later, six of the eight finalists of the 100-meter race tested positive for banned drugs or were implicated in a drug scandal at some point in their careers, including American Carl Lewis and eventual silver medallist Linford Christie. The 1988 100-metre final at Seoul 1988 remains one of the most controversial Olympic events of our time. Ben Johnson attempted a comeback after his suspension ended in 1991, even making the Canadian national squad for the 1992 Summer Olympics. He finally retired and moved on to coaching (including as trainer for Diego Maradona in 1997). In May 2005, Johnson has launched a clothing and sports supplement line, the Ben Johnson Collection. 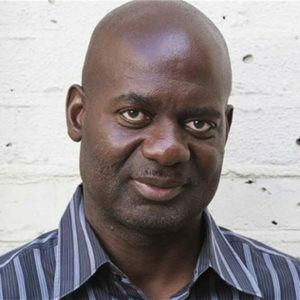 He released his autobiography entitled Seoul to Soul in 2010 At present, Johnson lives in Markham, Ontario and spends much of his time communicating his anti-doping message to athletes and coaches around the world. He also continues to coach, notably with Montreal Canadiens defenseman P.K. Subban. 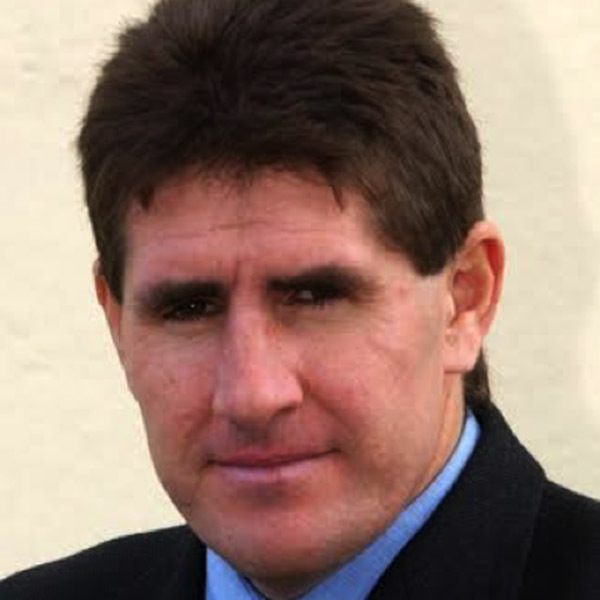 Paul Kimmage was born in Dublin in 1962. A talented cyclist, he was a double National Road Race Champion and represented Ireland at the Los Angeles Olympics in 1984. A year later, he finished sixth in the World Road Race Championships in Italy and in 1986 he turned professional and completed his first Tour de France. In 1990, after four years as a professional he became a journalist. A former ‘Sportswriter of the Year’ in Ireland, he was short-listed five times for ‘Sportswriter of the Year’ in Britain and is a five- time winner of ‘Sports Interviewer of the Year’ at the British Sports Journalists’ Association awards. He has written for the Sunday Tribune, the Sunday Independent, the Sunday Times, the Observer and the Daily Mail. 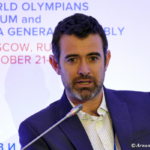 He has also presented a sports magazine programme for Setanta TV and was an analyst for Al Jazeera TV during 2012 London Olympics. His first book, Rough Ride, is widely acknowledged to be the most honest account of life in the professional ranks and won the William Hill Sports Book of the Year Award in 1990. In 2000, he was shortlisted for the same award with ‘Full Time: The Secret life of Tony Cascarino.’ In 2011, his fourth book, ‘Engage: The Fall and Rise of Matt Hampson’, was the British Sports Book of the Year and the William Hill Irish Sports Book of the Year. Olympic psychologist, former elite athlete, coach and educator, Gayelene Clews, is passionate about helping people excel. 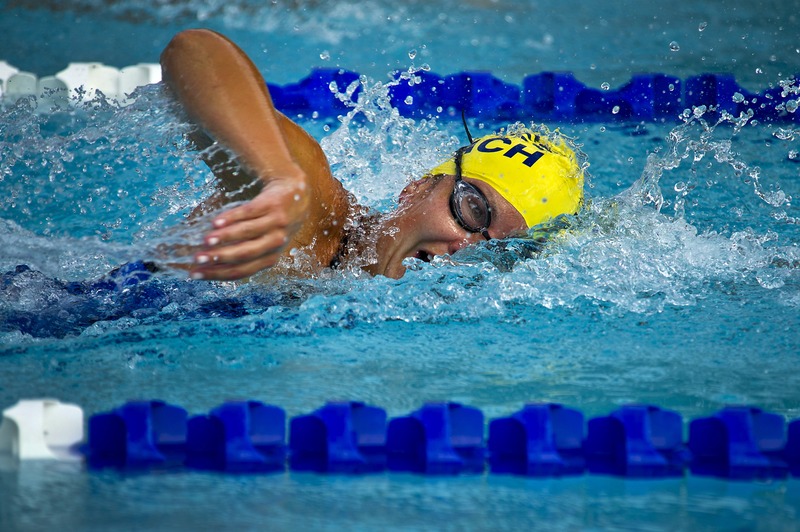 From Australia, the former world class athlete, represented her country in two sports. Clews achieved the World number One ranking in the women’s Olympic distance triathlon. Gayelene has coached athletes to medals in world championships and was the Australian Olympic team Psychologist to Women’s Water Polo. Her work with professional football codes includes six years at the Canberra Raiders (NRL) during their successful 1990’s, time as a consultant for the Australian Wallabies (ARU) during their 1999 World Cup win followed by five years with NSW cricket. In 2015, Gayelene released her new book Wired to Play on minimising symptoms of mental illness, by using the opportunities available through sport and exercise to build resilient, self-aware and connected communities. 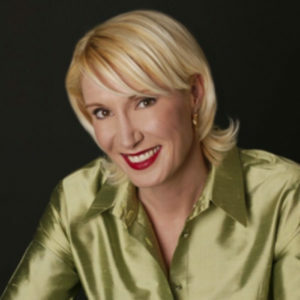 Her research and interviews with many of Australia’s and World’s elite athletes and coaches, together with her insights gained through 15,000 professional consultations, enables Gayelene to present a very powerful argument for the critical role sport and exercise play in mental health, wellbeing and academic success. 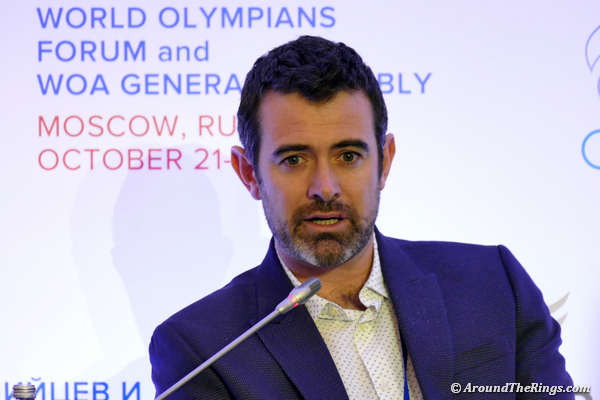 Jaimie Fuller is a Sports ethics campaigner and Chairman of the Australian brand, Skins. Jaimie bought the Australian brand, Skins, in 2002. He was in the printing industry, reluctantly attended a meeting on request of a friend of a friend who used to manage the Australian soccer team. Jaimie aims to change the world using his business and the sports industry as a vehicle, and wants an army of investors to join the cause. Using a mixture of media stunts and targeted campaigning, the Australian Swiss-based majority owner and chairman of sports garment company Skins International has in the past few years successfully agitated for corporate governance change at football’s governing body FIFA, world cycling’s UCI, the International Olympic Committee and helped boost the anti-doping movement. 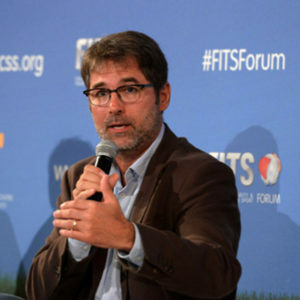 He passionately believes his mixture of sport and corporate agitation and intervention can help turn Skins, which manufactures compression sportswear, into a huge global brand that will make good profits even while directing some of its efforts – and just about all its marketing budget – into using sport to promote social change. 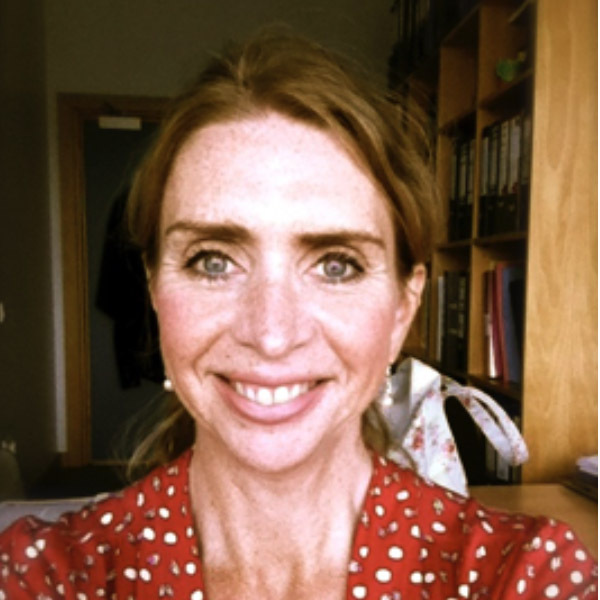 Dr Fiona Wilson is a Chartered Physiotherapist and Assistant Professor in the Discipline of Physiotherapy, TCD. She has over 25 years postgraduate experience and has worked in hospital medicine to senior grade in the UK, South Africa and Ireland. She has worked with elite and international athletes throughout her career and was Lead Physiotherapist for Rowing Ireland for 10 years. Her research has focused on sport and exercise medicine with a special focus on rowing and back pain and recently in rugby and concussion. She is editorial board member for a number of leading Sports Medicine Journals and was awarded the prestigious Cochrane Fellowship in 2012. Rick is an England lacrosse player (1988-96), including captaincy and coaching roles for England U-19, British Universities and England U-25. He has over 20 years of designing coaching and training programmes for team and individual performance, leadership development, personal effectiveness and well-being. He has also worked across a wide range of sectors with clients from international and Olympic athletes to senior corporate executives. After graduating from Sheffield University Rick continued to pursue his involvement with the English lacrosse team. He travelled extensively to play in tournaments in the USA, Australia and throughout Europe. Working as a Performance Coach and trainer, Rick helped establish Mobius Performance to share his passion for the transformation that coaching can bring. Rick specialises in the helping facilitate the changes that enhance performance and maximise the opportunities for success. His current research project is exploring how to assist elite athletes to find success and fulfilment beyond sport. A native of Sheffield, Rick still pursues adventure and challenge – taking part in many sports, including a recent discovery of the joys of open water swimming. Rick is also a keen climber, mountaineer and snowboarder. To help find balance, Rick has spent many years studying yoga and meditation in the UK and India. Andrew Brownrigg is a former English professional footballer who has battled with addiction throughout his life, his sporting career and thereafter. Brownrigg began his career as a trainee with Hereford United, making his début during the 1994–95 season. After being on the bench during Rotherham United’s opening game of the 1997-98 season, Brownrigg was attacked and suffered serious facial injuries. Because of his injuries Brownrigg missed a large portion of the season and this significantly hindered his chances at Rotherham United. During his professional footballer career, he played for more than 15 different clubs. On 16 June 2008 Brownrigg was admitted to Sporting Chance, a recovery clinic set up by former England International Tony Adams MBE for sportsmen and women. During his time in the clinic Brownrigg was treated for addiction related problems. In 2011 he started research and wrote a doctorate which explores the transitional experiences of professional footballers. In October 2012, Brownrigg’s research gained recognition by The British Psychological Society when his work was published in the Qualitative Methods in Psychology, ‘Sports and Performance’ Bulletin. Prof Moira O’Brien FRCPI, FFSEM, FFSEM (UK), FFSEM (Hon UK), FTCD, FECSS, MA, Emeritus Professor of Anatomy, Trinity College Dublin; is currently an Osteoporosis and Sports Medicine Consultant at Euromedic Dundrum, Member of the Board of the Federation International Medicine Sportive, founder and President of the Irish Osteoporosis Society 1998- ; and, Member of the European Union Osteoporosis Interest Group on Osteoporosis. She has been involved in Sports Medicine for over 30 years. 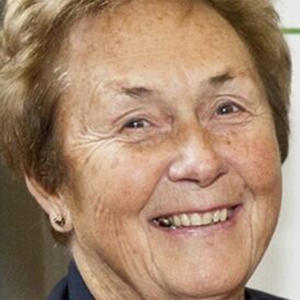 A founding Fellow of RCPI/RCSI Faculty of Sport & Exercise Medicine she was Medical Officer to the Irish team at the Moscow, Los Angeles and the Seoul Olympic games. As Medical Director of the first Masters in Sports Medicine in Great Britain and Ireland based at Trinity College Dublin in 1990 to 2005 and now Honorary Medical Director. She is an author of numerous publications, books and articles on osteoporosis and sports Medicine and an invited keynote speaker at international conferences world-wide. Breandán de Gallaí’s involvement with dance is multifaceted. As a choreographer he has created several works, most notably Noċtú and Rite of Spring. In 2011, Noċtú completely a 5-week residency at the Irish Repertory Theatre in New York. On the back of this run the show was nominated for 2 Drama Desk awards, “Outstanding Choreography” and “Unique Theatrical Event”. Breandán’s main focus is his dance company Ériu. The company explores the poetic potential of the Irish dance form and present work that is explorative and innovative in a contemporary context. His new duet Linger, premiered in Project Arts, Dublin, January 2016. 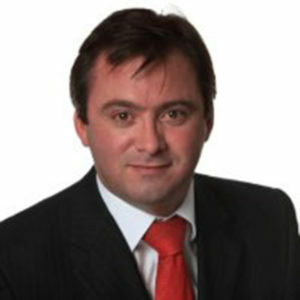 He regularly presents TV programs for RTÉ and TG4; acts in TG4’s popular soap opera Ros na Rún; and also hold a B.Sc. (Hons) in Physics. 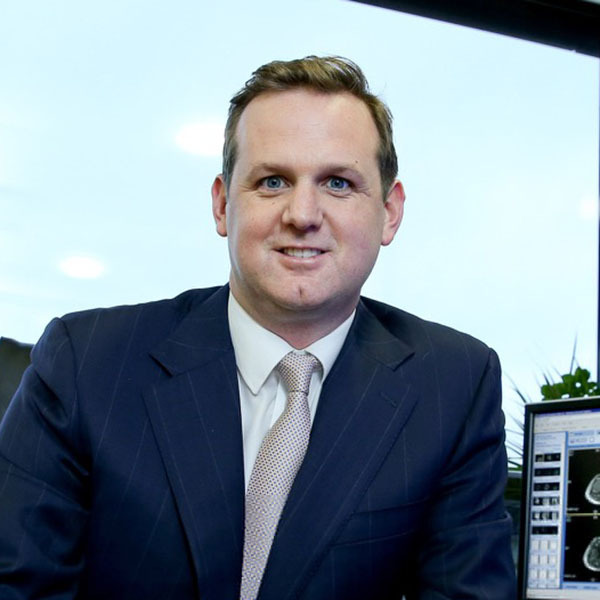 Professor Cathal Moran is a Consultant Orthopaedic Surgeon, Shoulder & Knee Specialist, at Sports Surgery Clinic, Ireland’s leading private centre for the treatment of sports injury. 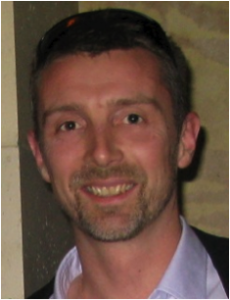 Cathal is the Professor of Orthopaedics and Sports Medicine, Trinity College Dublin and Hon. Professor at the Royal College of Surgeons in Ireland. In addition to his medical training in Ireland Cathal is a graduate of the internationally renowned 2 year Orthopaedic Sports Medicine Fellowship programme at Hospital for Special Surgery and Weil Cornell Medical College in New York. During his years in the US he worked with many of the leading professional athletes and teams of the NFL, NBA and WNBA, to add to years of working with athletes in Ireland & Europe. In addition to treating shoulder and knee injuries, Cathal is the Director of Ireland’s National Cartilage and Orthobiologics Centre, leading national and international trials in the use of cellular and other novel treatments for soft tissue and early degenerative conditions. Tony Og Regan has over 10 years experience competing at elite level with the Galway Senior Hurling team. Tony Og has won minor and intermediate All Irelands, two National hurling league titles, one interprovincial title, one Leinster hurling title and competed in 3 All-Ireland senior finals. He was nominated for three all star awards. He holds an honours degree in Commerce and a postgraduate diploma in Economic Science from NUIG and is qualified Chartered Accountant. 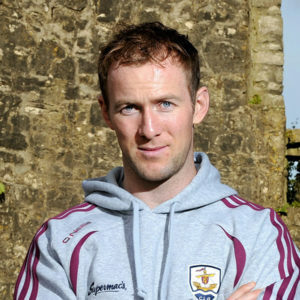 He holds a Master’s in Applied Sports and Exercise Psychology from WIT and has completed a thesis on Career transition: exploring the qualitative experiences of inter-county GAA players. He currently works as a performance psychology coach with a number of athletes and teams from GAA, show jumping, modern pentathlon and athletics. Eamonn is the Founder and CEO of World Sports Team. World Sports Team is the global sports network whose primary aim is to provide support to people who suffer catastrophic injury in sport. His cousin suffered a catastrophic sports injury and he does not want any family have to endure what his family did. He also worked with the IRFU and was responsible for developing Irish rugby’s strategic plan ‘Building on Solid Foundations 2008-2012’ which coincided with the most successful period in Irish rugby history. Eamonn manages and promotes the Guinness Enterprise Centre which is home to over 160 start-ups employing over 450 people. In this role, Eamonn works with entrepreneurs, start-ups / early stage companies, state development agencies, not-for-profit organisations and commercial businesses in the areas of strategy, business planning, general management, fundraising and investment. The GEC was awarded the No.1 University Associated Business Incubator in the world for 2015 by the prestigious UBI Global Rankings. He holds a Bachelor of Business Studies from the University of Limerick and a Masters of Business Administration from UCD Smurfit School of Business. John studied and trained as a psychodynamic psychotherapist at Oxford University. As part of his studies, John completed a thesis titled ‘A Psychodynamic Perspective into the Lived Experience of Career Transition from Professional Rugby’. 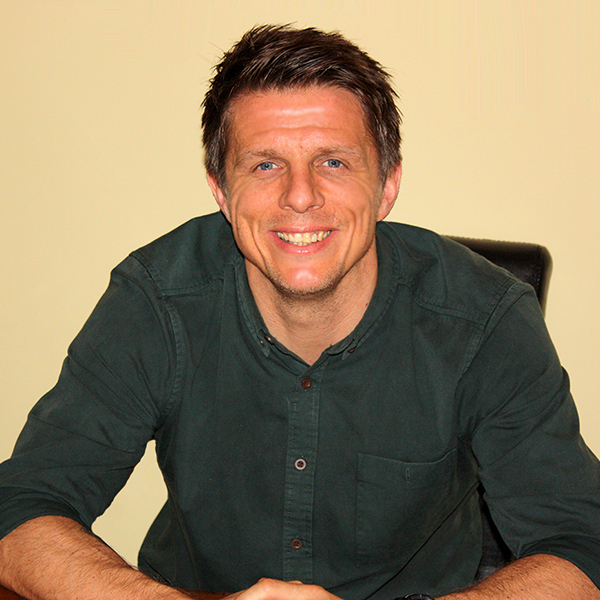 Prior to becoming a psychotherapist, John played professional rugby with Sale Sharks. He also captained Oxford University Rugby Football Club for 3 years. While from a psychodynamic background, he is also interested in a holistic approach to mental health. This includes various different ways of thinking; yoga and mindfulness, inter-relational approaches to group work, and the effects of exercise and nutrition on psychological well being. He enjoys researching psychotherapy and works with depression, anxiety, suicide, addictions, transitions and obsessive compulsive disorders. He currently works with individuals and groups in sport and other contexts.